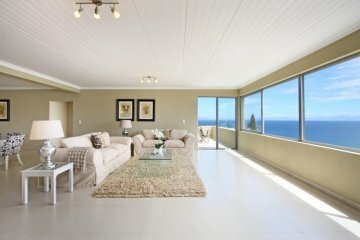 Bayview is a self-catering, superbly-furnished, crisp and contemporary, fully-equipped private home. 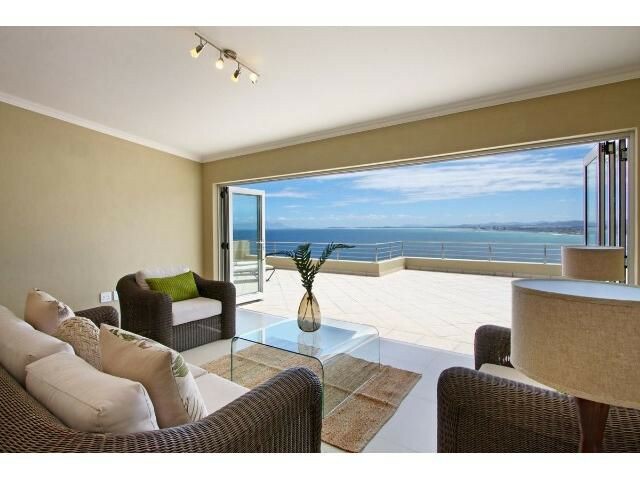 Spread out over 3 floors, Bayview consists of a 3 bedroom luxury living space and a one bedroom flatlet. 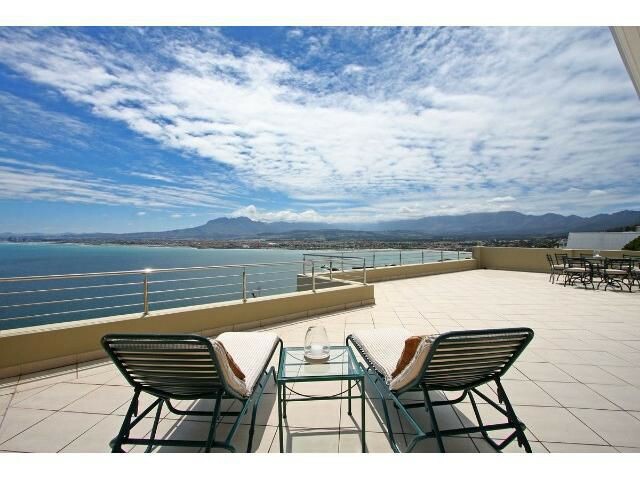 The two apartments can be booked seperately or as one. Our home is located in Suikerbossie Drive, within the most prestigious area of Gordon's Bay - a sophisticated haven which overlooks the old harbour, Bikini Beach and a Whale lookout point. 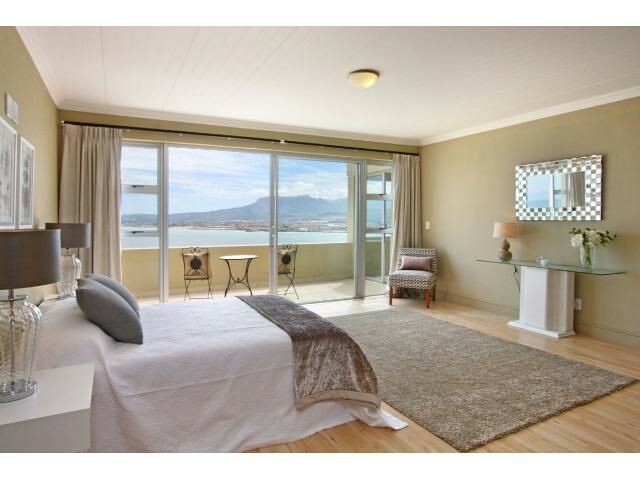 Should you visit, you will be intoxicated by stunning views from every room, with panoramic vistas over False Bay. On a clear day you can see Table Mountain and Simons Town in the distance. 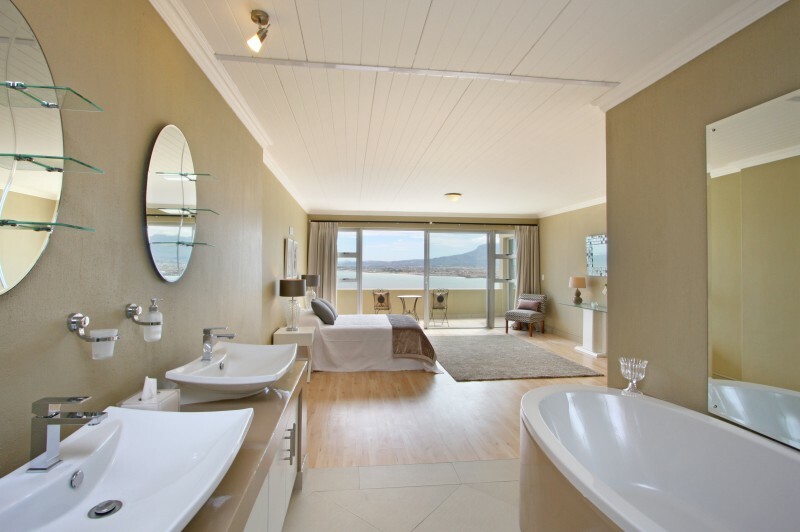 The 3 bedroom living area has 1 bedroom with a king size double bed and 2 bedrooms with large twin beds. 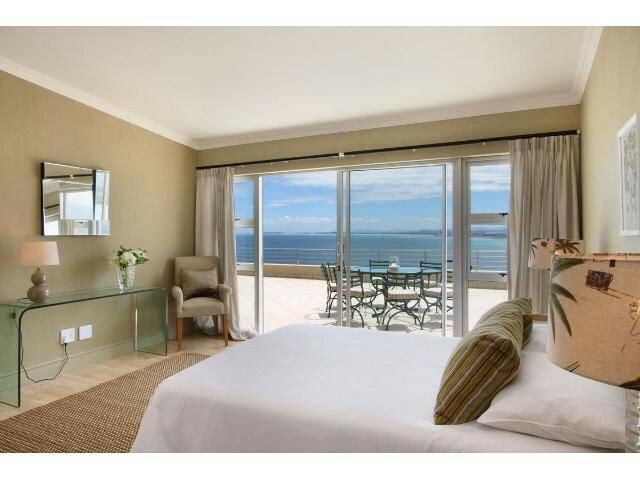 Each bedroom is en suite and has large, walk-in cupboards and every room has fabulous sea views. Superbly-appointed interiors rarely look more appealing than this. There is even a private lift, ensuring comfortable and easy access to modern luxury. There is generous living space with two lounges. The main living area is open plan and has a fully-equipped kitchen with modern technistone surfaces, a seperate scullery, walk-in pantry, gas cooker/oven, washer/dryer, microwave and kettle. There is DSTV and complimentary wifi. 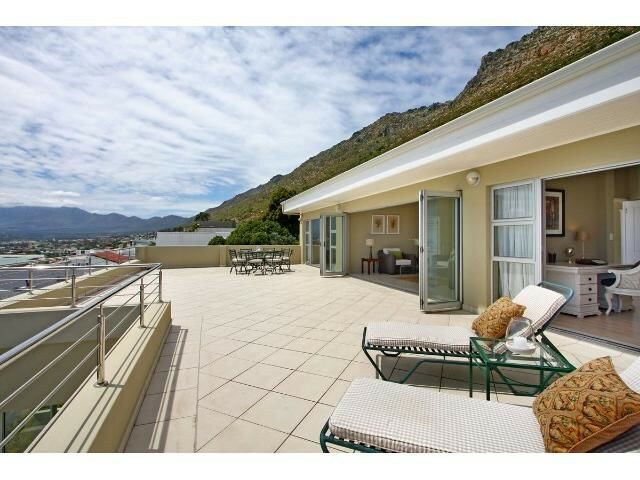 The 2nd lounge flows onto a generous sun deck where you can suntan or braai (barbecue) while overlooking the sea. 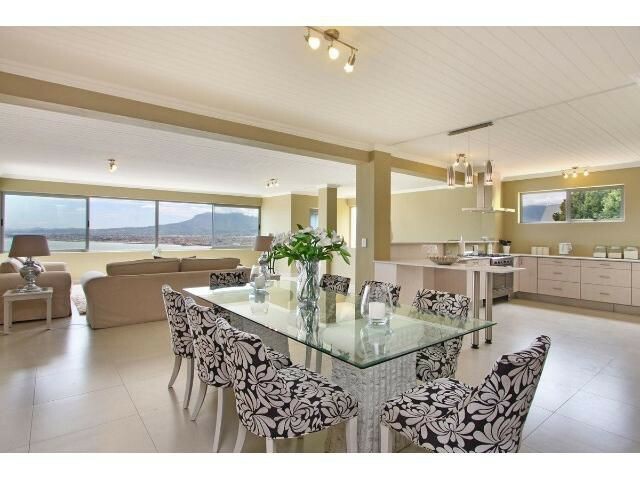 This living area has access to a small cliff top rock-pool which borders the Hottentots Holland Mountain Range and is surrounded by indigenous Cape fynbos plants. The view from the rock pool is simply stunning. The one bed room flatlet has a bedroom with a king size double bed, en suite de luxe bathroom with a bath tub and shower, a seperate large living room with a queen size sleeper couch, DSTV, complimentary wifi and a kitchenette equipped with fridge, microwave, kettle, toaster etc. 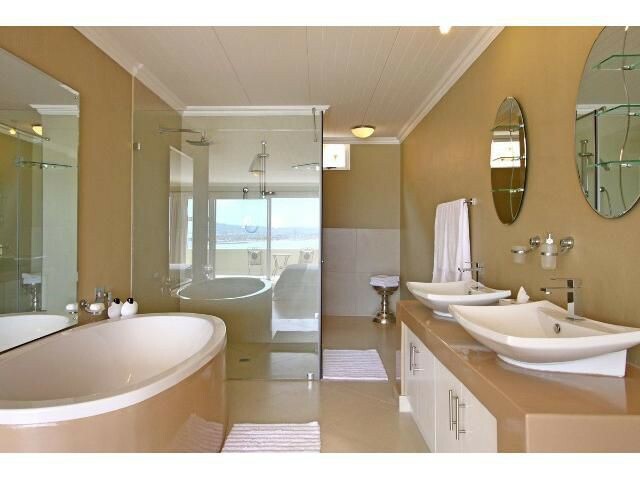 Both rooms have fabulous seaviews. As there is no terrace, you can enjoy the sun tanning and the pleasures of 'Blue Flag' Bikini Beach nearby. On the ground floor are 3 lock-up garages with access to the house from the inside. The lift operates from the ground floor to the 3 bedroom appartment. There is an automatic security response system in place. Your holiday couldn’t have a better base than this (we know, because it’s our base too).